CANBERRA, Australia — A "sophisticated state actor" was behind a cyberattack on the Australian Parliament's computing network that also affected the network used by major political parties, the prime minister said Monday. Prime Minister Scott Morrison did not identify the state behind what he described as a "malicious intrusion" on Feb. 8. A joint statement from House of Representatives Speaker Tony Smith and Senate President Scott Ryan said at the time that there was no evidence that data had been accessed in the breach. But lawmakers were advised to change passwords. Morrison revealed Monday that the computer networks used by the government parties — the Liberal Party and the Nationals — as well as the opposition Labor Party had also been affected. Australia's security agencies were securing those systems and protecting users, he said. "Our cyber experts believe that a sophisticated state actor is responsible for this malicious activity," Morrison told reporters. "Let me be clear, though — there is no evidence of any electoral interference. We have put in place a number of measures to ensure the integrity of our electoral system," he added. 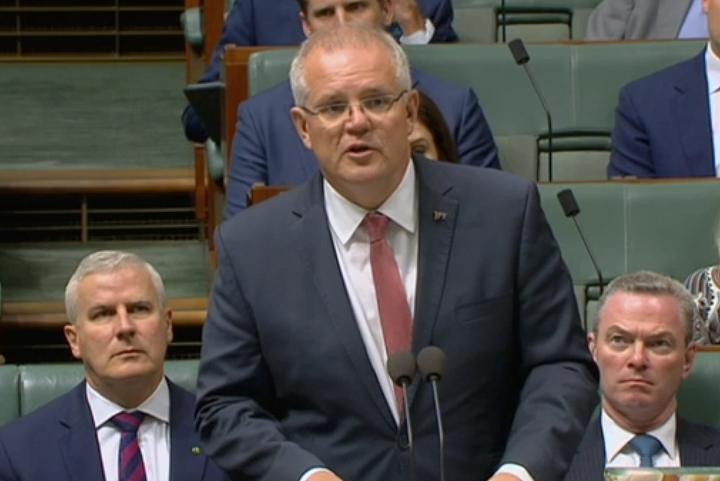 The Australian Cyber Security Center, the government's main cyber security agency, has briefed federal and state election authorities, Morrison said. New South Wales, Australia's most populous state, will hold elections on March 23. A federal election will be held on a date to be set in May. Duncan Lewis, director general of the Australian Security Intelligence Organization, the nation's main spy agency, would not comment on how deeply the attack had penetrated the computer networks. "The electoral machinery which we have in this country, that's the Australian Electoral Commission and the various state electoral commissions that work with the federal system — there is no evidence that they have been compromised," Lewis told a Senate committee. He would not say whether the attack had been neutralized, saying it was "being managed." Although Australian officials have not blamed any country, in 2011 it was reported that China was suspected of accessing the email system used by lawmakers and parliamentary staff. Chinese foreign ministry spokesman Geng Shuang cautioned against unsubstantiated accusations against China. "We should not make unreasonable guesswork and randomly label other countries," he said at a daily media briefing. "Irresponsible reporting, accusation, pressure and sanctions will only aggravate the tension and confrontation in cyberspace and poison the environment of cooperation." Election interference has been high on the international agenda since America's 2016 presidential election, in which Russian hackers stole and published more than 150,000 emails from various Democratic targets in what U.S. spymasters and senior lawmakers have described as a wide-ranging effort to help elect Donald Trump.